The OSCE Office for Democratic Institutions and Human Rights (ODIHR) and Penal Reform International (PRI) presented a draft preview of their upcoming guidance document on revised international standards for the treatment of prisoners, known as the Nelson Mandela Rules, at an event in Warsaw on 19 September 2017. The event took place on the margins of the annual OSCE Human Dimension Implementation Meeting. ‘We are confident that, when released, this joint publication with ODIHR will make a considerable contribution to translating the new Rules into reality, not only by explaining why a particular rule is important and how it can be implemented in practice, but also by providing examples of positive practice from across the OSCE region,’ said Andrea Huber, Policy Director of PRI. 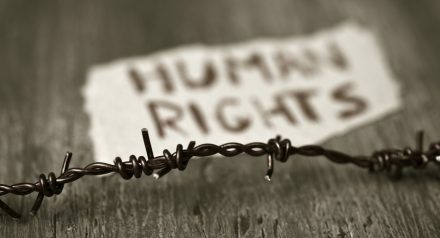 The Guidance Document, to be published in November 2017, is the result of a joint two-year project by ODIHR and PRI designed to assist states in implementing the new Rules, so as to protect the right of people deprived of their liberty to be free from torture and other ill-treatment, in line with OSCE commitments. Event participants were also introduced to other tools and publications available to support state and prison authorities in the implementation of the Nelson Mandela Rules, including the UNODC Checklist for internal inspection mechanisms. Representatives of the European Committee for the Prevention of Torture (CPT) and of the Serbian National Preventive Mechanism contributed to the discussion by describing the added value of the revised Rules in their work. The revised Nelson Mandela Rules were unanimously adopted by the UN General Assembly in December 2015 in response to the evolution of the international human rights framework and correctional science since the adoption of the original Rules, in 1955.